Two young men, a beautiful lady, and a little girl are among a throng heading for the big city from a countryside in South Africa. Every one of them in the train has a score to settle with the city of Johannesburg. For these four, however, what awaits them would surpass, in great length, their own expectations. Vaya is a true-life story that follows the life experiences of a selected characters who are visiting the city for the very first time. Big hopes—isn’t that what we equip ourselves with when we come to big cities; hope to cross over, from an unsatisfying life of poverty and limitations that is the reality of every rural place, to the dream-life of riches and splendour of people living in cities? And how would we ever know if we’re strong, beautiful, capable and/or lucky enough to be taken in by the city if we never take a shot? In a post-screening interview at the just concluded Light Camera Africa Film Festival in Lagos, Mr Omotoso said the actors (most of them acting for the first time) had implored him not to have their stories fancified; they are grim, brutal and merciless experiences which the bearers didn’t want to compromise for aesthetics. Mr Omotoso must have disappointed them. The film is extremely fanciful. But not in the ways they had feared; it is fanciful in what one would rightly term a cinematographic symphony. “When after the shooting of the film they see their lives play back at them, they weep”, he said. The gory narrative laid bare in fascinating visuals that takes nothing away from the story. 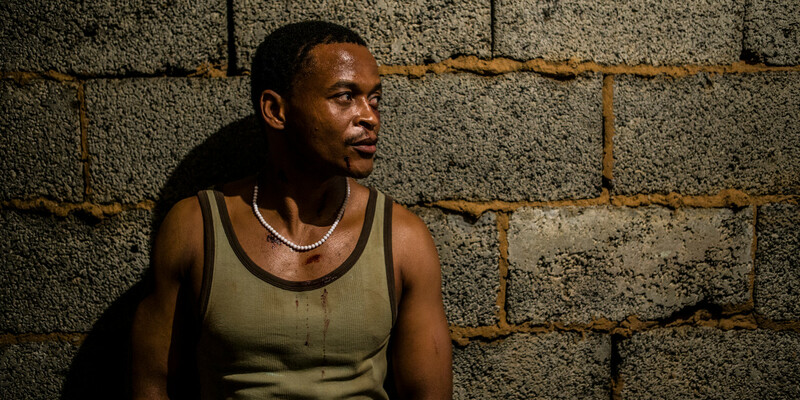 Nhlanhla, played by Sihle Xaba, wants to make it big like his uncle, Xolani (Warren Masemola). He has finally gotten the great invite he had waited all his life. Zanele (Zimkhitha Nyoka) has the mission to take her little cousin to the city to meet with her mother, and also see if she can make a life for herself as a professional dancer. 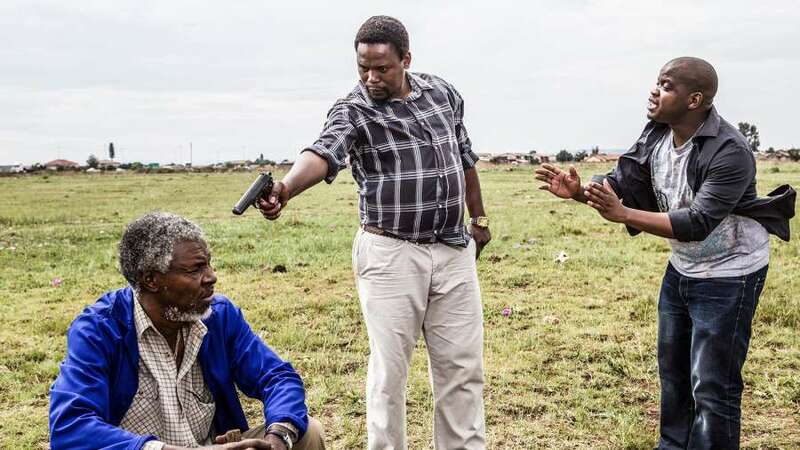 And Jabu (Jabulani Mthembu), whose short-term mission was unlike that of others, has the responsibility, imposed on him by tradition, to bring home his father’s dead body. Things quickly get complicated as soon as they step off the train and go their different ways. Everything moves in the city and this seems to confuse them. With slips in hand, trying to locate destinations in the heaving metropole, they encounter challenges. Zanele and her cousin would spend their first night in a stranger’s house. Jabu isn’t that lucky; he would sleep in the street and get robbed. And Nhlanhla would fall straight into the hands of his uncle’s rival cult. There are beautiful twists in the story, almost melodramatic. At the long last all four would link up, in some sort of a fateful train, at the scene of the gruesome murder of Madoda (Mncedisi Shabangu), the big city flushing their hopes, and replacing it with the cold reality of life in a big city.